I had my first, second semester law exam today and David and I decided to go to nandos and Baskins to chill out!! 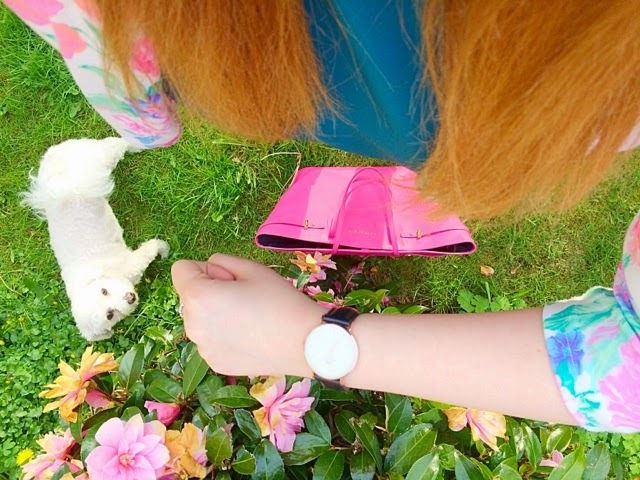 I wore my Coast Queen Shell top (forest green), Topshop Joni Jeans (black), New Look floral blazer, Pink Kurt Geiger bag and my Classic Sheffield Watch from Daniel Wellington! If you want 15% off any Daniel Wellington watch then use the discount code 'kirstyjennifer' expires 31.05.15! Hope you are all having a great week so far! Take care.